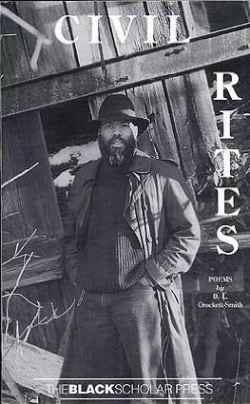 David Lionel Smith, who writes poetry as D.L. Crockett-Smith, is John W. Chandler Professor of English at Williams College, where he has also served as Dean of Faculty and as Chair of African-American Studies. He has also taught at The University of North Carolina at Chapel Hill, Duke, and New College of Florida and served as a consultant to such organizations as the Smithsonian Institution, the Folger Shakespeare Library, the Southern Humanities Media Fund, the Massachusetts Foundation for the Humanities, and The Mark Twain House in Hartford. He has published many essays on such subjects as Mark Twain, Southern Literature, Nature Writing, and the Black Arts Movement and translates the works of Spanish and Latin American poets, specializing in Federico Garcia-Lorca and Pablo Neruda. In 2008-2009 he translated five volumes of poems by García-Lorca. 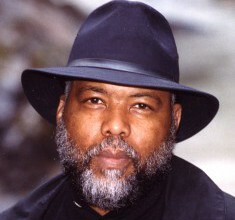 Among his other books are the five-volume Encyclopedia of African-American Culture and History he edited with Jack Salzman and Cornel West, and his poetry collections Civil Rites and Cowboy Amok, the latter built on his uses of imagery from the mythic American West, which also stands for the entire Western World. stuck beneath his fingernails.” This Saturn symbolizes the fanatic West chanting lines eerily similar to what we hear today: “this bomb is a PEACE bomb,” “these dead children were TERRORISTS.” He sings a war song pitting “East against West, North against South,” but as he croons “we see the pieces of your children / dangling from your mouth.” This poem first appeared in Open Places and again in NOMMO: A Literary Legacy of Black Chicago (1967-1987), the wonderful 20th anniversary anthology of the Organization of Black American Culture (OBAC). Smith was active in Chicago’s OBAC Workshops from 1976 to 1980, the year he received his Ph.D. in English from the University of Chicago. “What Is Black Culture?” begins with a quote from Ralph Ellison: “Could this compulsion to put down invisibility in black and white be thus an urge to make music of invisibility?” From the crooning of war songs, to Bessie Smith’s blues, to a country star singing soul. What is it that’s “invisible”? That violence, for one, is not the possession of just one “culture.” To think so is one of the ways we perpetuate and justify racism, one of the ways we continue to think “race” is just commonsense. ♦ Go to a list of Black Writers and to Black Writing from Chicago. This entry was posted in Black Writers and tagged Black Writing from Chicago, Civil Rites, Cowboy Amok, D.L. Crockett-Smith, David Lionel Smith, race as cultural construct. Bookmark the permalink.